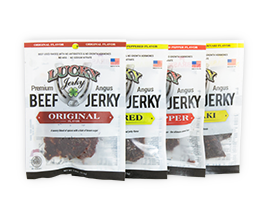 As America’s Leading All Natural Best Beef Jerky Producers, Lucky Jerky Understands That Taste And Quality Are Essential. 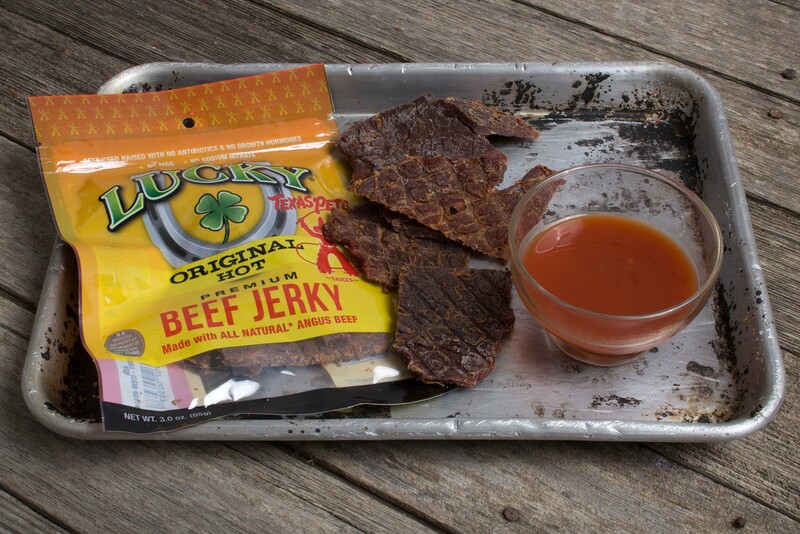 One Taste Of Our All Natural Angus And You Are Sure To Become A Loyal Customer Of Our Finest Jerky Brands. Saying that ours is the best beef jerky is no cheap marketing ploy, but a well-established fact that we stand behind! 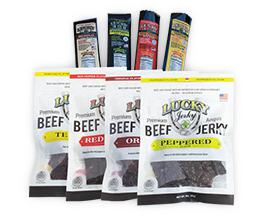 There are many beef jerky brands in existence today, but Lucky Beef Jerky takes great pride in being the top producer of America’s best beef jerky. For generations our family-owned business has lived and breathed the making of hearty, healthy, delicious natural beef jerky for our customers. As an extension of Nebraska Star® Beef, we use only their Worlds Best USDA Choice Natural Angus and Wagyu Beef. Few companies can boast about the quality ingredients in their beef jerky recipes, nor do they follow our all natural process in producing the best beef jerky. Our primary goal is healthy living through healthy beef jerky that is both flavorful and high-quality. Since our meat is 100% all natural you can enjoy our products with your family, without fear of it ever containing antibiotics or growth hormones. We believe that everything from how our cattle are fed to how our products are stored play a role in making the best gourmet beef jerky available at very affordable prices for today’s consumers. As a family-owned company, we view our loyal patrons as an extension of our own family. You can trust us to always provide you with the finest beef jerky products possible. Thanks to you, we have experienced tremendous success over the past years, this has expanded our beef jerky brands. Our business is committed to our customers needs by satisfying everyones distinctive taste with our quality jerky brands and various flavors. 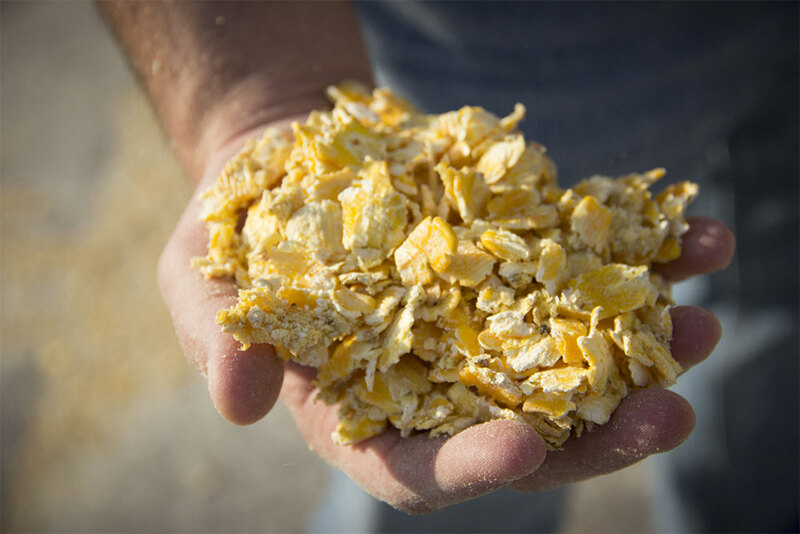 We have a strong belief in healthy living, therefore everything from raising, processing to transportation is 100% organic. We do not use MSG as a means of preservation with the exception of our extended shelf life survival food, remember we care about your health and those of your families. The sky is not the limit for us, and every day we strive to come up with healthy all natural beef jerky recipes with the objective of keeping you satisfied. So what are you waiting for? 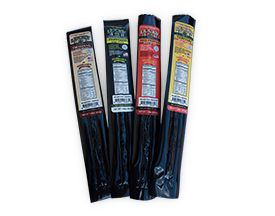 Try our all natural brands and the best beef jerky sold on the market today, we know you will keep coming back for more. Continued Here!